The mission of the Potter Jr High School Counseling Department is to provide comprehensive and data-driven academic, college and career readiness, and social/emotional services for all students. Through advocating for equity and access for every student, the school counseling program activities and interventions support student success, inspire lifelong leadership, and develop meaningful contributors to a global society. 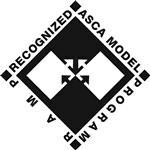 Potter Jr High's School Counseling Program was recently distinguished as a Recognized ASCA Model Program (RAMP). School counseling programs that receive RAMP recognition show how students are different based on the school counseling program and report improvements in overall student achievement and attendance. Here is a video created for the RAMP recognition that highlights our school counseling program: https://vimeo.com/knowmadiclife/pottercounseling. Please scroll down to meet the School Counseling Team at Potter Jr High School. To make an appointment with a school counselor, please call our office at (760) 731-4164 or send an email directly (contact information listed below). We look forward to meeting you!